At Envision Boulder, we provide a wide range of eye care services. We are pleased to offer the following optometry services to our community. An eye exam in our office is a thorough evaluation of the eye. It is also a determination of prescription for glasses or contact lenses. 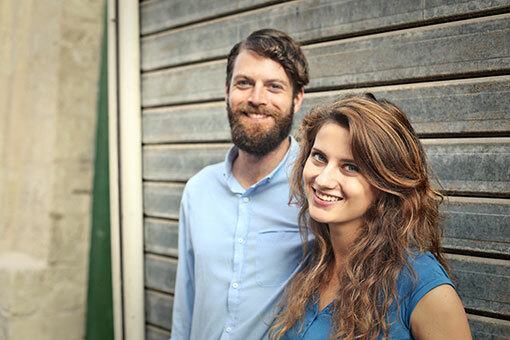 Envision Boulder, we believe the goal of routine eye care is maintaining good vision for life. The ability to see “20/20” is only one part of that goal. Good vision is about comfort as much as clarity. It means keeping eyes healthy by detecting and treating small changes before they become big problems. One of the comments we hear most often from our new patients is that the exams we provide are the most thorough they’ve ever had… and that we have “the most amazing gadgets!” And it’s true – one of the unique things about our practice is that we have always been on the forefront of technology in eye care. In 1995 we were among the first practices in Boulder to incorporate corneal topography (precise mapping of the cornea) into our exams, providing greater detail and better management of our contact lens and laser vision patients. We were also the first eye care practice in Colorado to offer the Optomap Retinal Exam giving many of our patients an alternative to routine pupil dilation. 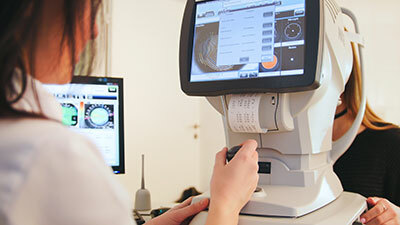 Whether it’s technology that improves our ability to manage patients with eye disease or simply enhances routine care for all of our patients, we will continue to use the most advanced equipment available in eye care to give our patients the most complete and accurate assessment of their vision and eye health. At the conclusion of your exam, your doctor will review the test results and discuss your options. From glasses and contact lenses to CRT and LASIK – most people today have several choices when it comes to vision correction. As your primary eye care specialists, our goal is to help you understand which are best suited to your eye health, your visual demands and your lifestyle. In our continued effort to bring the most advanced eye care technology to our patients, Envision Boulder is pleased to offer the Optomap Retinal Exam as an integral part of our comprehensive eye exam. The Optomap produces a digital image of your retina and allows us to perform a more thorough exam than was previously possible without pupil dilation. The result is that we can better prevent or reduce vision loss in our patients with a simple, quick and patient-friendly new exam. Any comprehensive vision exam should include a careful look at the retina, or lining of the back of the eye, to screen for abnormalities or disease. The sensitive tissue that makes up the retina is susceptible to a variety of diseases that can ultimately lead to partial loss of vision or even complete blindness, making early detection of any retinal abnormality crucial. We look forward to discussing this revolutionary exam with you at your next appointment. LASIK is a surgical procedure that uses an ultraviolet laser to reshape the clear front surface of the eye (the cornea) in order to improve vision and reduce dependence on corrective lenses. It is capable of treating a broad range of prescriptions such as near-sightedness, far-sightedness, and astigmatism, in people who are at least 18 years old, in good health, and who have no eye diseases. During the procedure, a thin flap of corneal tissue is created and folded back to expose the inner layers of the cornea. The computerized laser then gently removes a small amount of tissue, effectively sculpting your eyeglass prescription onto your eye. The flap is then replaced and adheres quickly back onto the eye without the need for stitches. As your primary eye care specialists, the doctors of Envision Boulder are available to help you understand your options and make the right decisions for your eyes. We have been co-managing laser vision patients since 1995 and work closely with the most experienced surgeons in the area, providing pre-operative consultation and evaluation and post-operative care. Our doctors will conduct a thorough medical history, assess the stability of your prescription and evaluate your eyes for any eye diseases or health problems that could potentially impact the outcome of your surgery. We will also discuss your expectations for LASIK and whether it’s possible to meet them. If you decide that LASIK is right for you, we will refer you to an experienced surgeon for the procedure. Our doctors will provide all of your post-operative care including frequent examinations of your eyes to ensure proper healing and answering any questions you may have during the healing process. While LASIK is an exciting option for vision correction, it is not a choice that you should make based on advertising or price alone. You deserve an honest and frank discussion about whether you’re a good candidate for LASIK and if it’s the best choice for you. We are here to help you make an informed decision, one that’s right for your eyes and your life. Imagine waking up from a restful night’s sleep having the ability to see clearly without glasses or contact lenses. Now you can with Corneal Refractive Therapy (CRT) – night-time vision correction that offers freedom from glasses and contacts all day without refractive surgery. CRT is a specially designed therapeutic contact lens that gently reshapes the cornea while you sleep. Through intense research and clinical testing, CRT has been proven both safe and effective for patients of all ages when worn during sleeping hours, earning this therapy FDA approval for nighttime use. The result is great vision 24 hours a day without the lenses during waking hours. This procedure has been approved for nearsightedness and nearsightedness with astigmatism. According to FDA approval for this procedure, eye care professionals must be certified to fit this special lens. 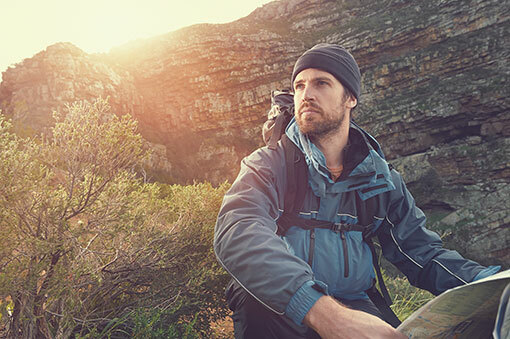 At Envision Boulder, all of our doctors are certified and experienced in CRT and will be happy to help you decide whether this exciting new option in vision correction is right for you.